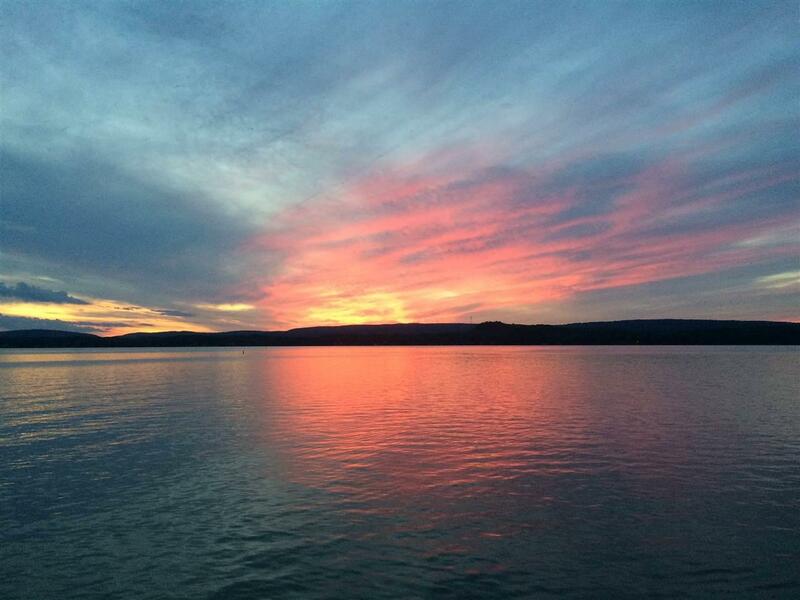 N2832 Demynck Rd, Lodi, WI 53555 (#1837451) :: Nicole Charles & Associates, Inc. 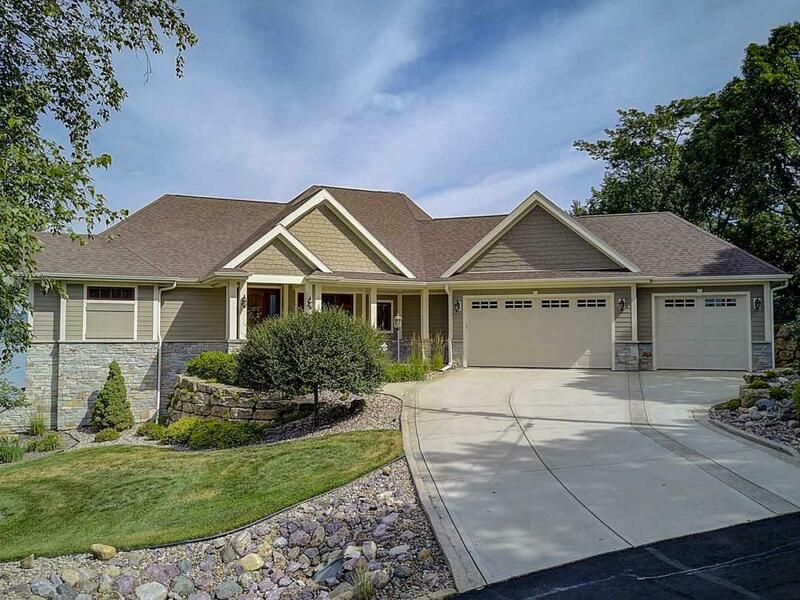 Stunning custom built 4,265 sqft, 4 bdrm, 4 bath Lake Wisconsin property located on sought after Demynck Rd! 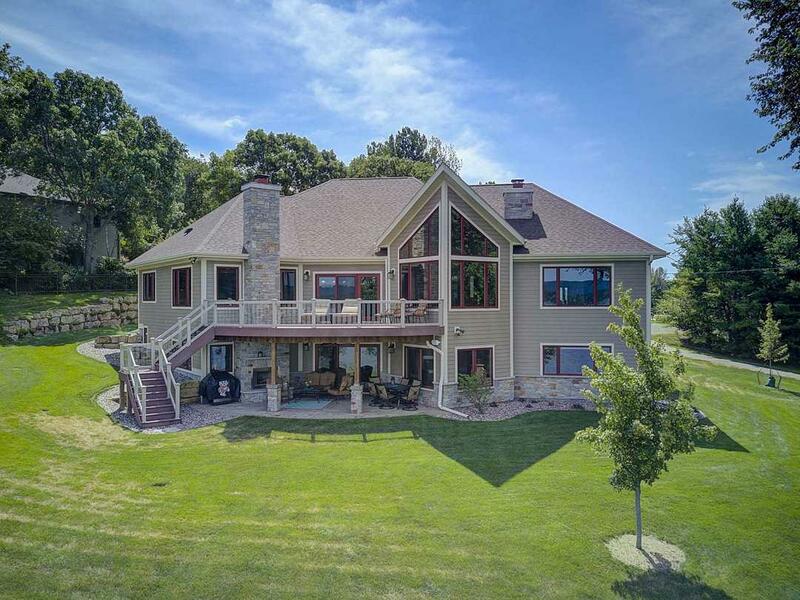 This 1st time offered home sits majestically overlooking the lake w/unbelievable Sunsets, amazing western & north views of the surrounding Baraboo Bluffs! 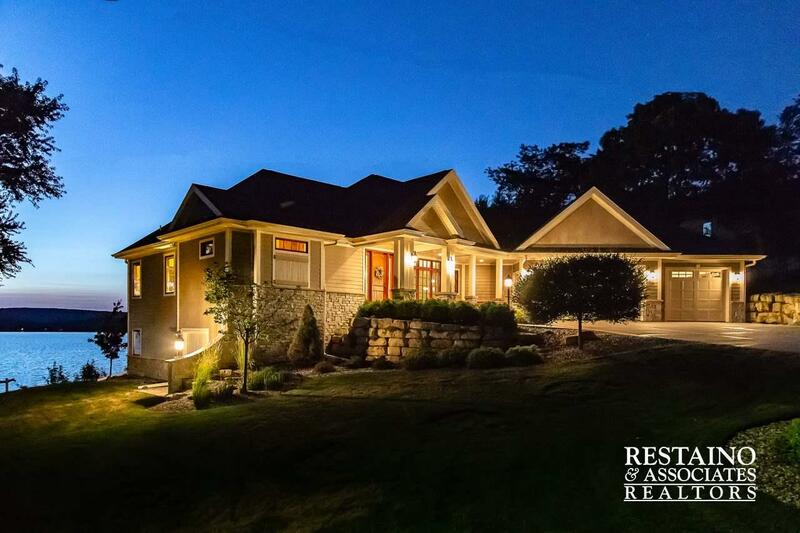 With views of the lake from every room, this home features: vaulted beam ceilings, 3 bdrm suites, lg glass windows, enormous master suite w/tray ceilings, custom cabinets, granite counters, deck, LL rec room w/bar, in floor heat throughout, patio w/outside fireplace & custom fire pit! All of this on 159 +/- feet of frontage! Elite Home Warranty incl.